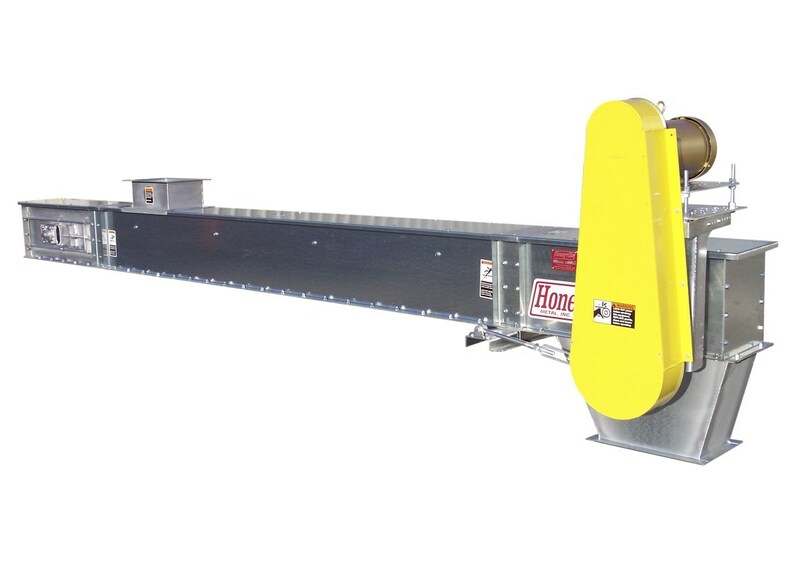 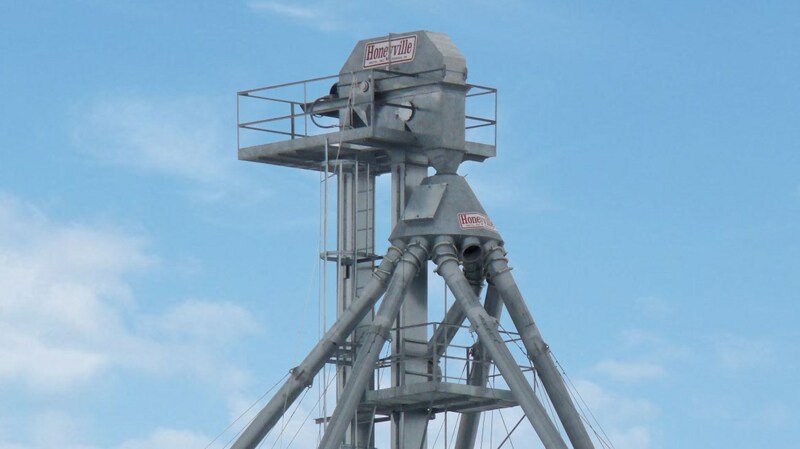 Horizontal Drag Conveyors | Honeyville Metal, Inc. 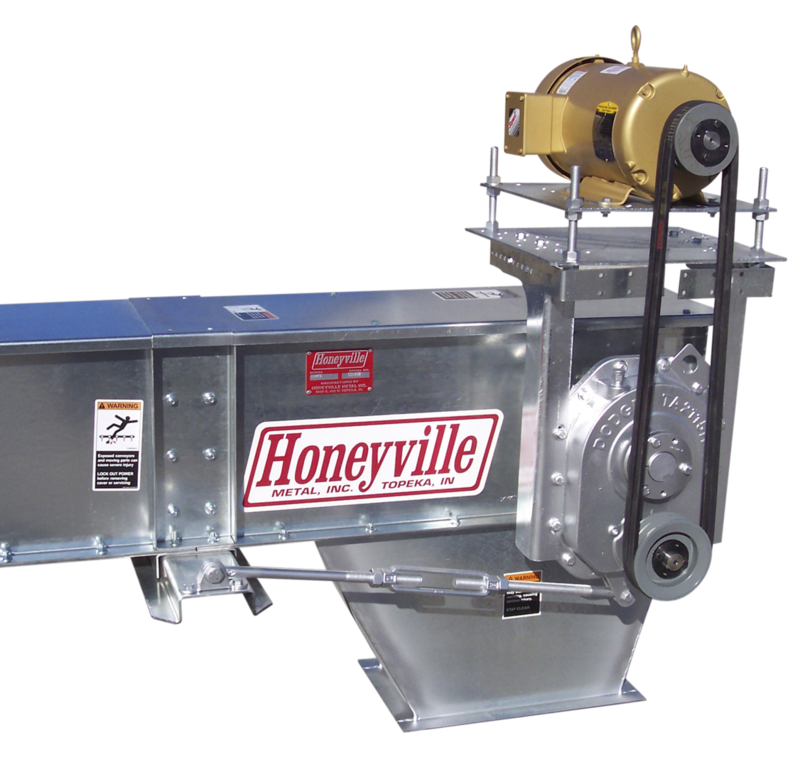 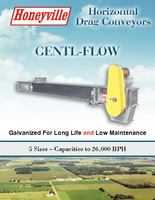 The Honeyville Gentl-Flow Drag Conveyor is manufactured with all galvanized steel for long life and minimum maintenance for the end user. 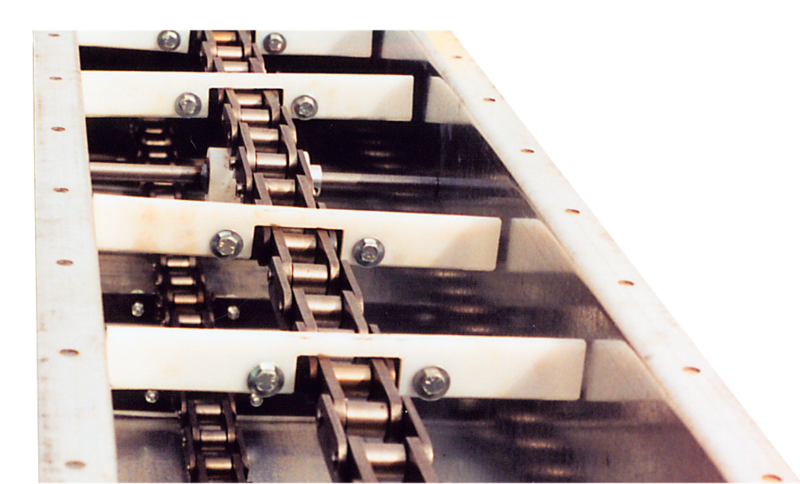 Flighting: UHMW flights mounted on a heavy duty steel chain (81XH, 81XHH, or WR124), all manufactured in 10' sections. 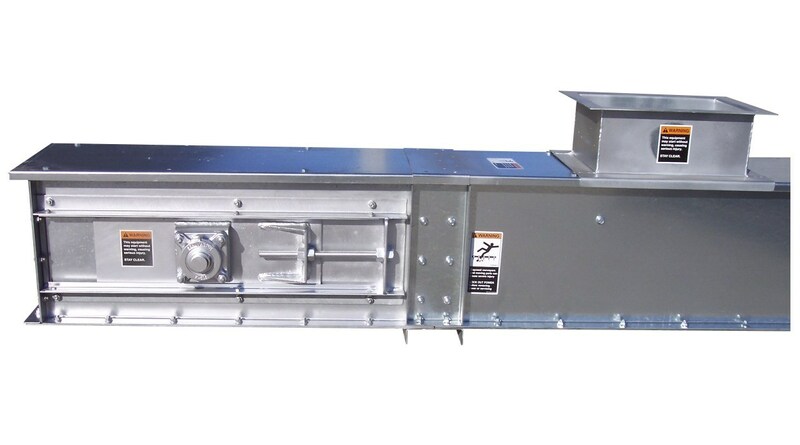 Optional: Bolt-on AR Medium steel bottom along with side liners. 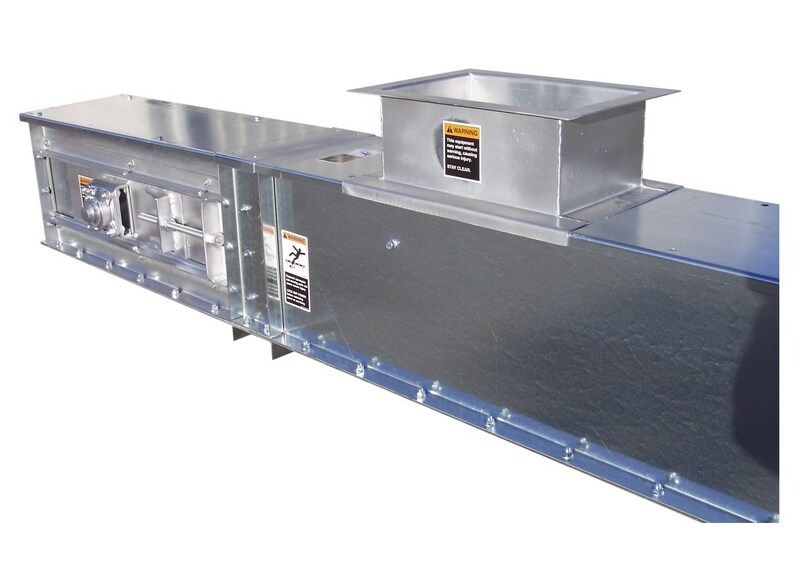 See chart and drawing below for specifications on the five models available.